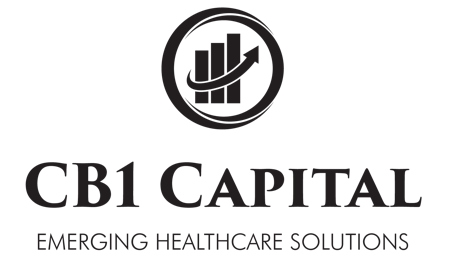 NEW YORK, November 7, 2017 (PRESS RELEASE JET) – CB1 Capital, LLC, the New-York based investment adviser that invests in the supply chain of cannabinoid-based solutions, products and therapies that address a wide range of unmet medical or physiological conditions or commercial use-cases, is pleased to announce the formation of its Board of Advisors. Cannabis is about getting well; not about getting high. Dave Charnick; Subject Matter Expert, Founder, Kalyx Development Inc. Green Space Labs, NOBO Partners, and Special Advisor, Cannabis Benchmarks, a division of New Leaf Data Sciences. Lorne Gertner; Chairman of HG2 Capital Corp, CEO of Hill & Gertner Capital Group; Co-Founder, The Cronos Group; Director, Emblem Corp.; Co-Founder & Chairman Tokyo Smoke; Investment Partner and Director, Green Acre Capital; Director, Hempco Food & Fiber. Gary Johnson; 29th governor of New Mexico, two-time Presidential candidate. Founder, Big J Enterprises; Former CEO of Cannabis Sativa, Inc.
Dr. Ethan Russo; Board Certified Neurologist, psychopharmacology researcher; Director of Research & Development, International Cannabis and Cannabinoid Institute (ICCI), former Senior Medical Advisor, GW Pharmaceuticals; former Medical Director, PHYTECS. Based in New York City, CB1 Capital, LLC is an investment adviser that invests in securities of companies in the cannabinoid-wellness space. Nothing contained in this release is intended as a solicitation to invest.